Characterising social media topics often requires new features to be continuously taken into account, and thus increasing the need for classifier retraining. One challenging aspect is the emergence of ambiguous features, which can affect classification performance. 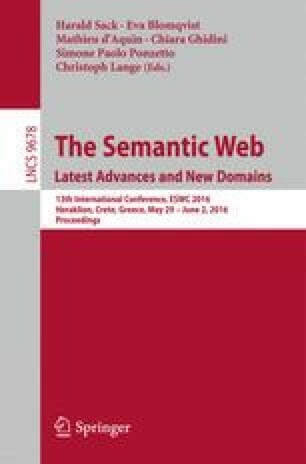 In this paper we investigate the impact of the use of ambiguous features in a topic classification task, and introduce the Semantic Topic Compass (STC) framework, which characterises ambiguity in a topics feature space. STC makes use of topic priors derived from structured knowledge sources to facilitate the semantic feature grading of a topic. Our findings demonstrate the proposed framework offers competitive boosts in performance across all datasets. This work was supported by the EU-FP7 project SENSE4US (grant no. 611242) and the UK HEFCE project MK:Smart.